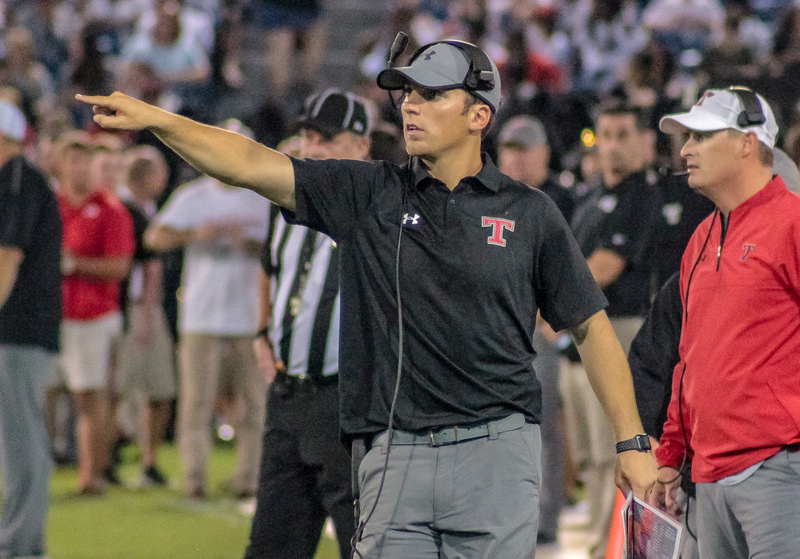 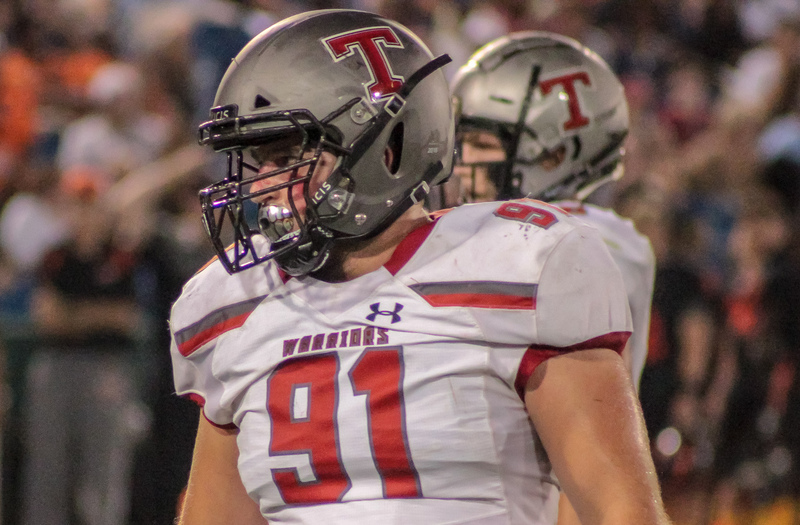 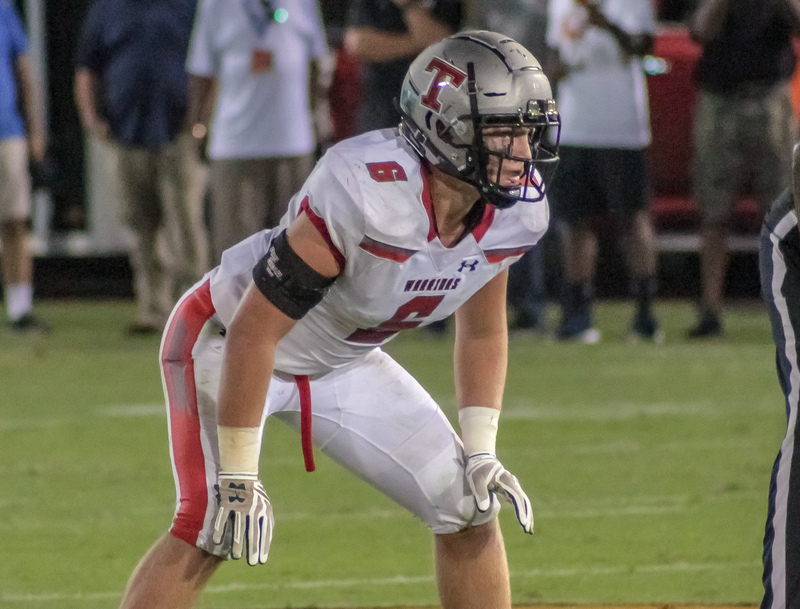 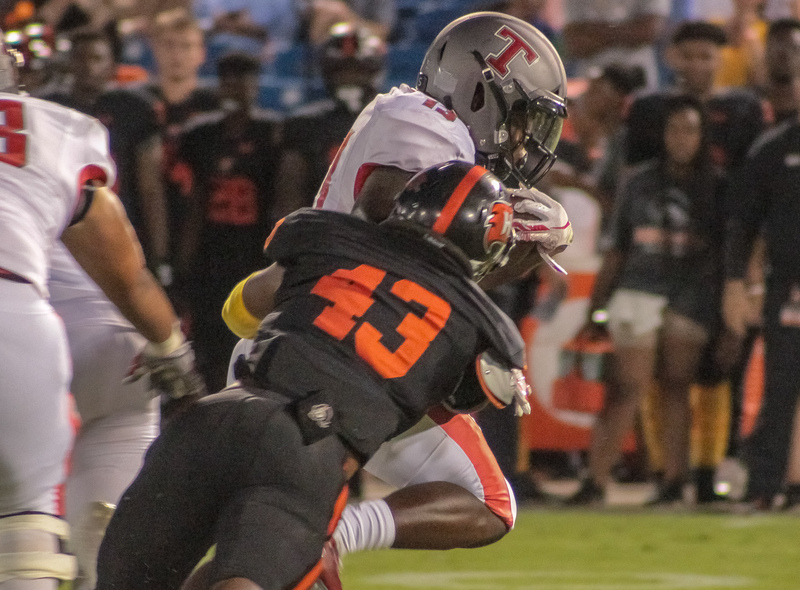 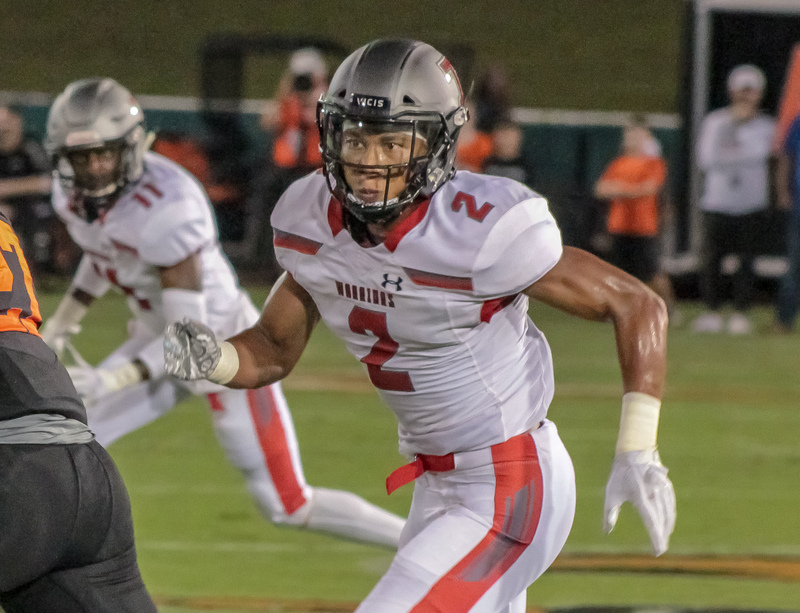 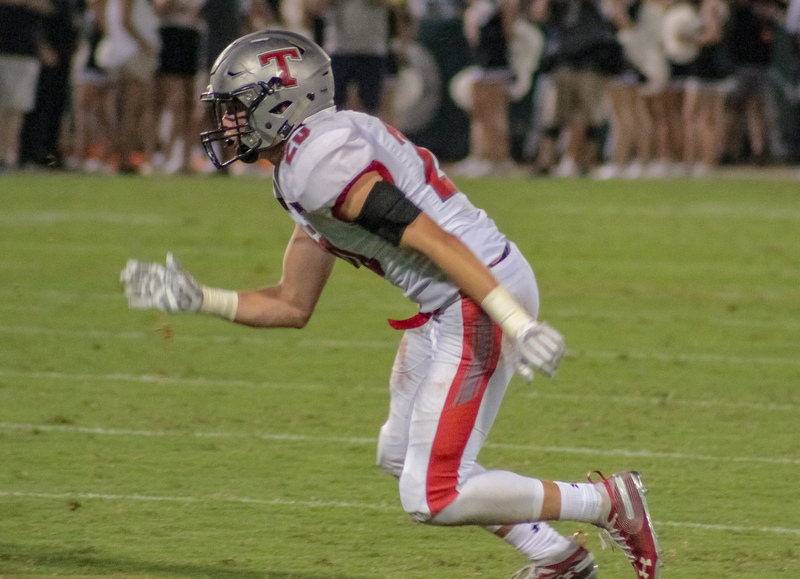 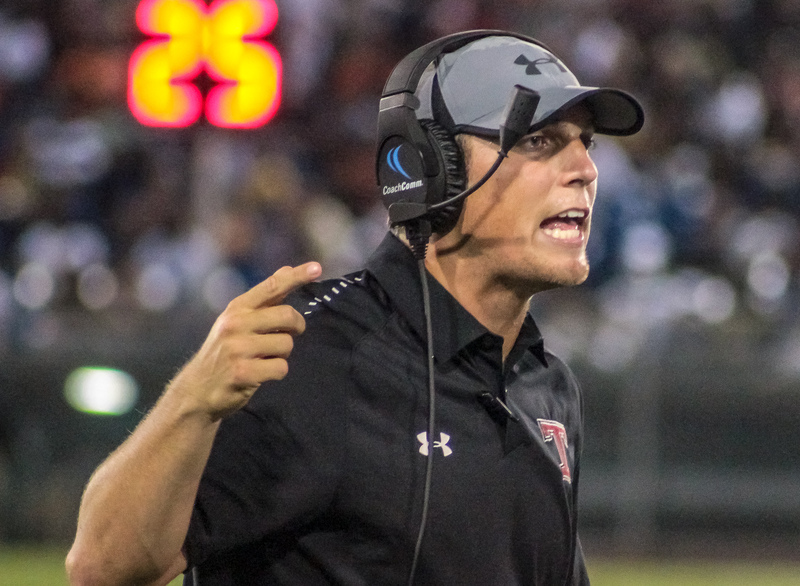 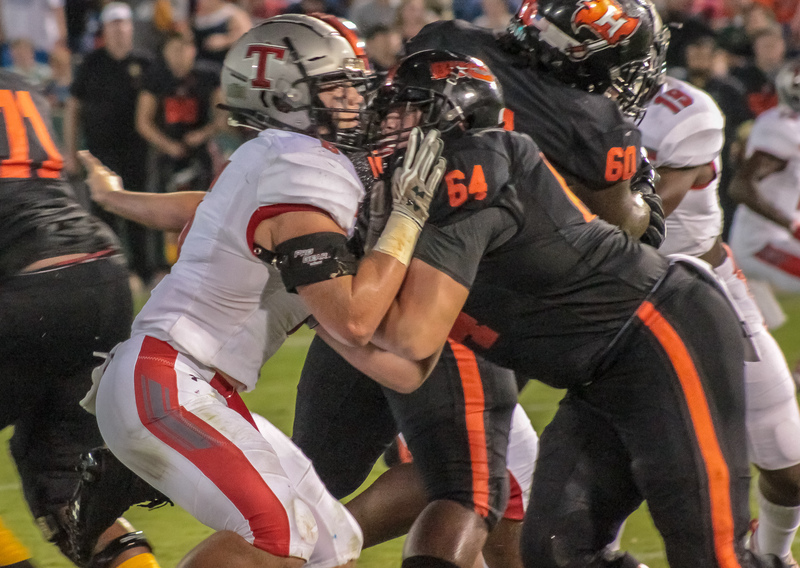 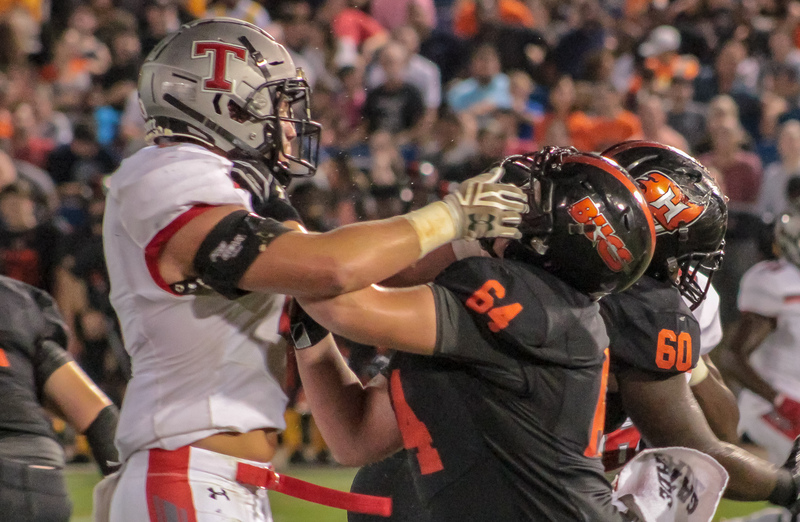 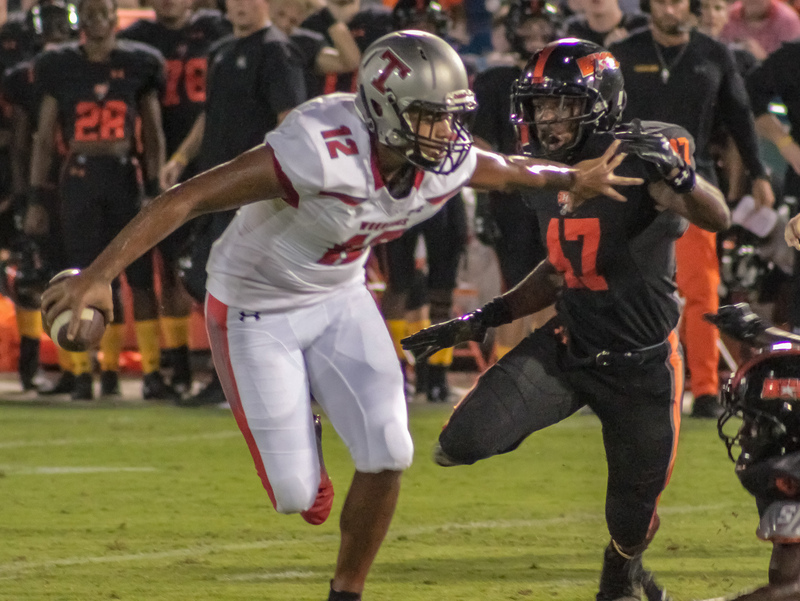 Hoover, AL – A week after slipping behind the Thompson Warriors to second in the Alabama Sports Writers Association 7A football rankings, the reigning state champions reclaimed their perch atop the state’s largest classification. 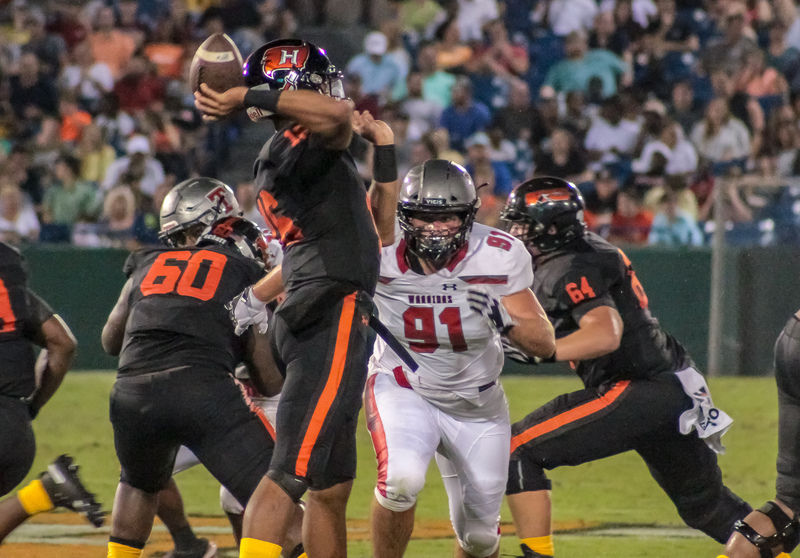 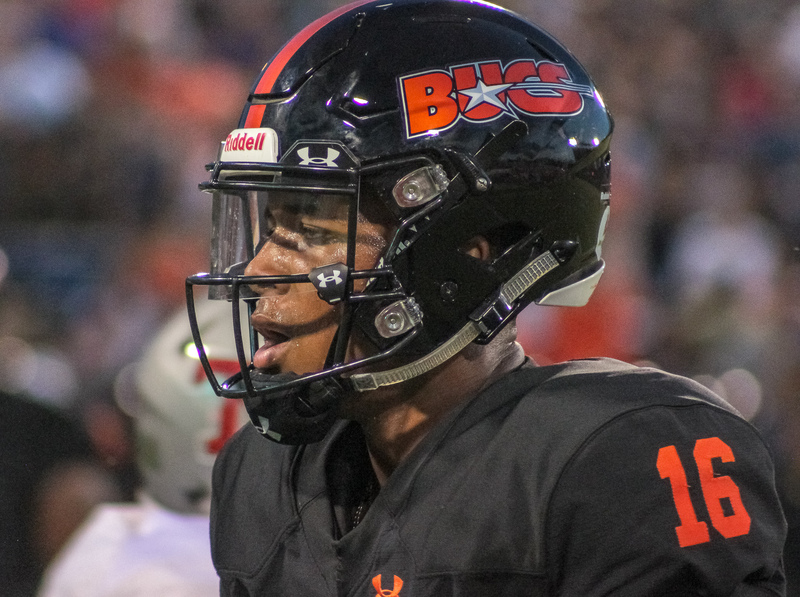 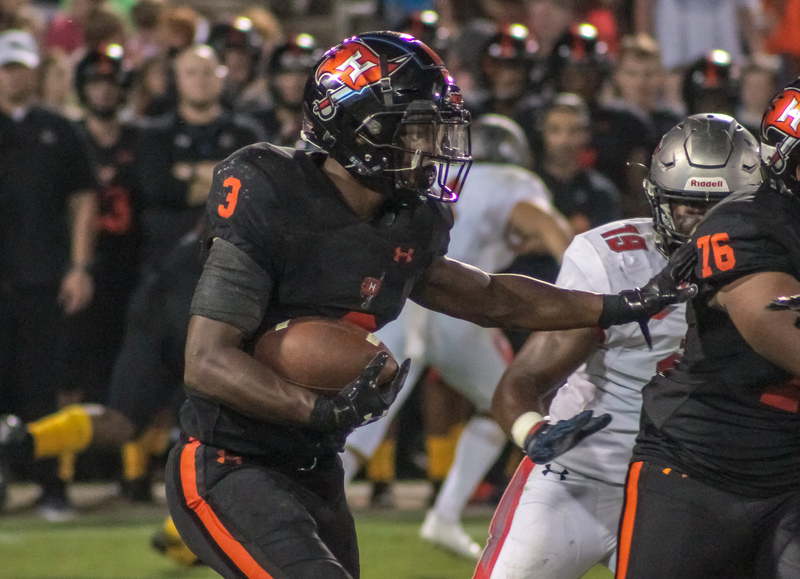 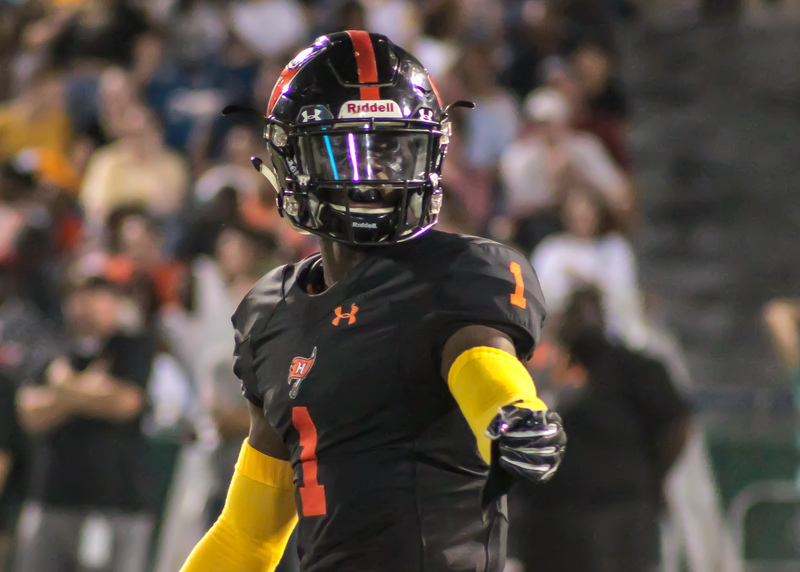 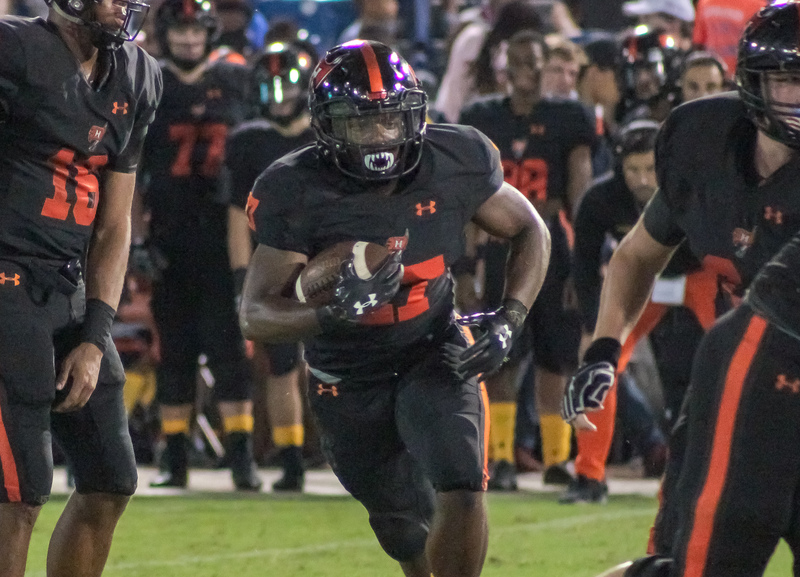 In a rematch of the 2017 state semifinals, the Bucs asserted their dominance over the Warriors with a 45-26 win Friday night in front of a packed house at the Hoover Met. 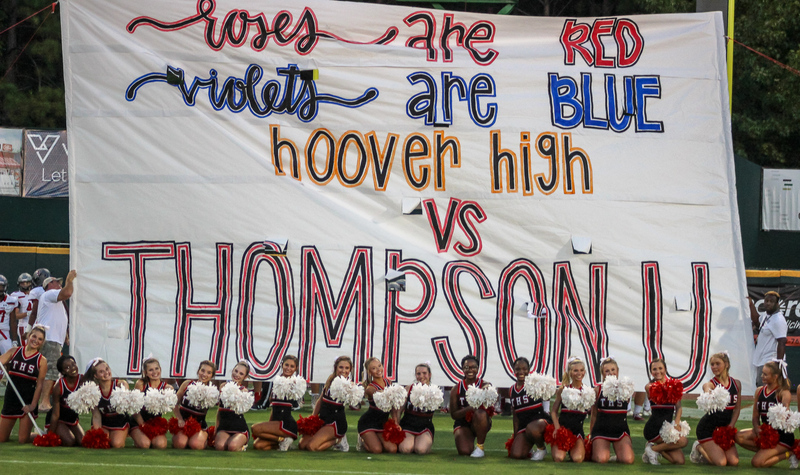 The last time the two teams faced-off at The Met, Thompson scored their only win, in 23 tries, over their neighbors to the north. 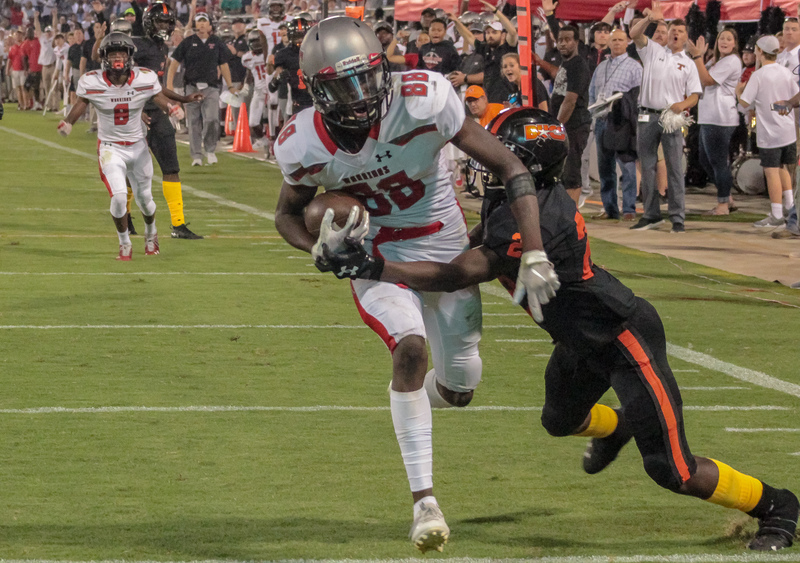 This time around the home team jumped out to an early lead and didn’t look back. 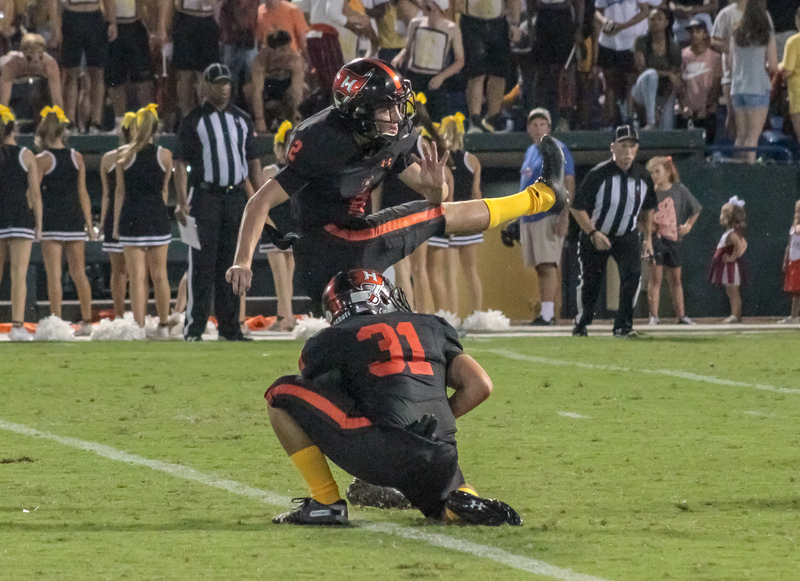 Kick started by muffed punt, recovered by Hoover long snapper Ben Hendrix, on the Warrior one yard line, and capped by a Larry McCammon score, the Bucs jumped on top 7-0 early in the opening stanza. 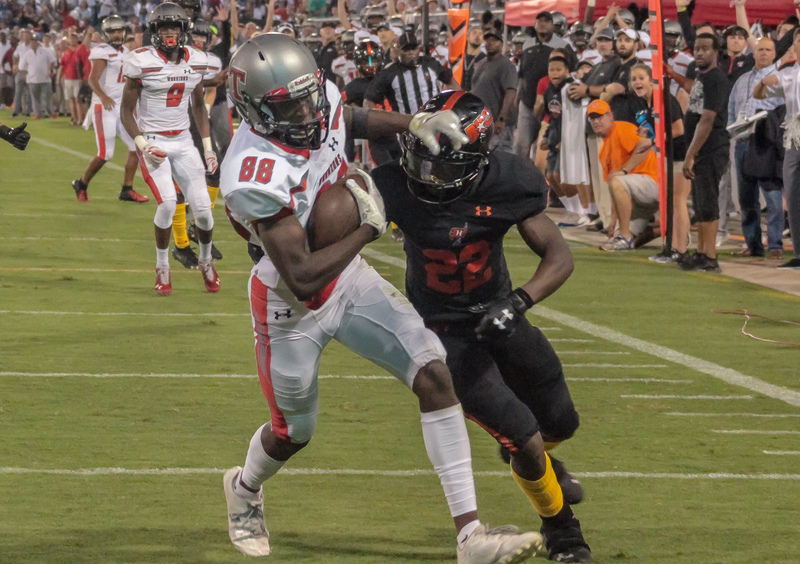 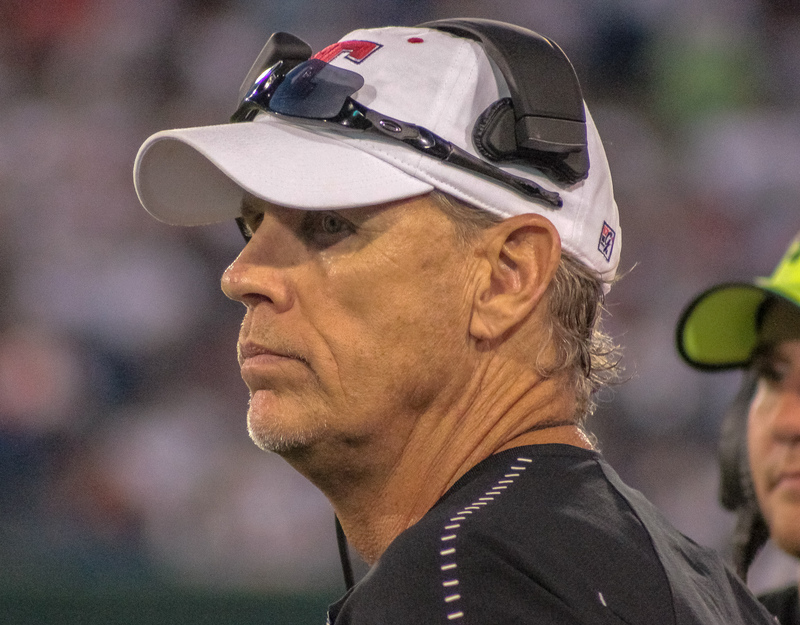 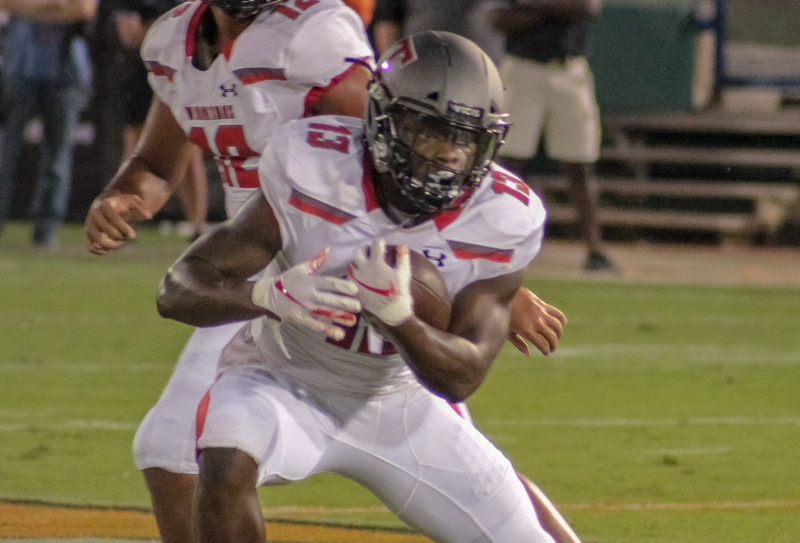 The Buccaneer offense didn’t slowdown following the special teams miscue as George Pickens and Xavier Long hauled in Robby Ashford scoring strikes to extend the lead to 21-0, quieting the Warrior faithful. 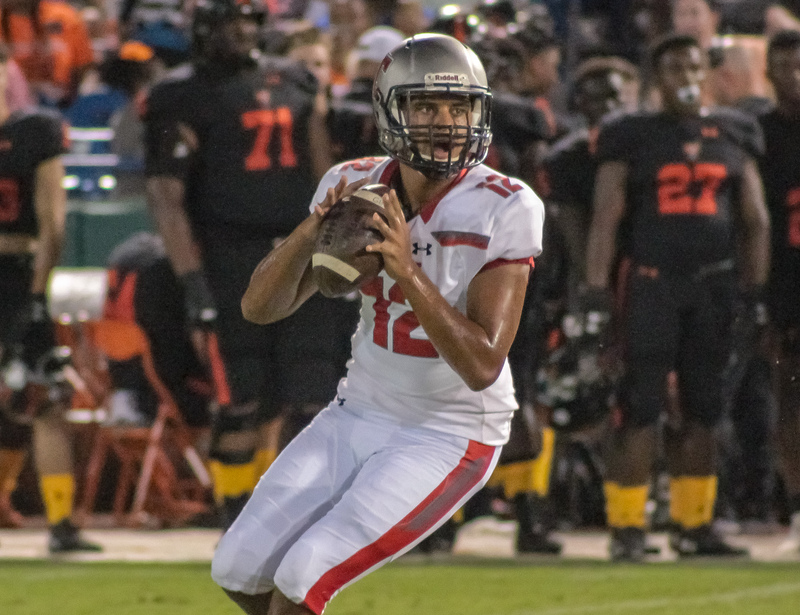 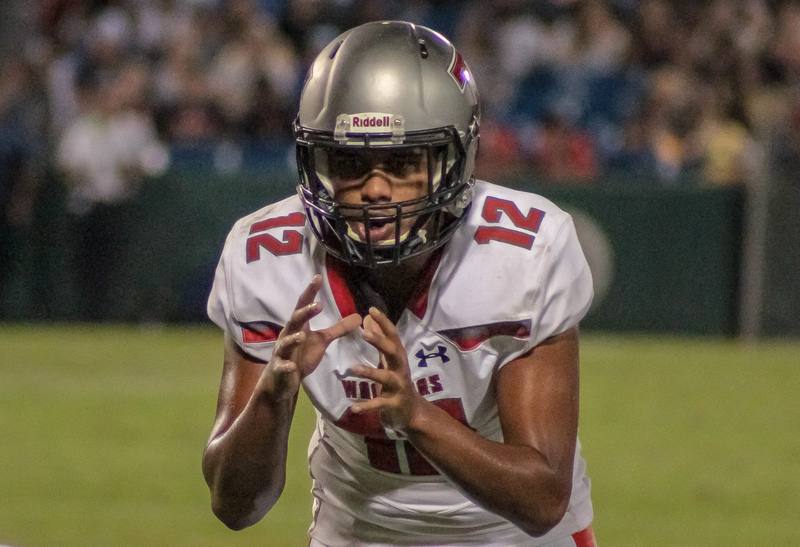 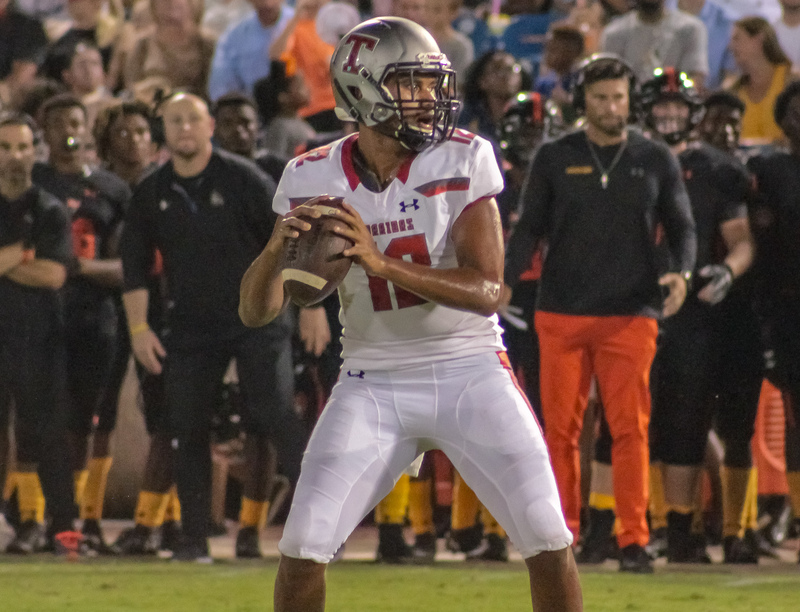 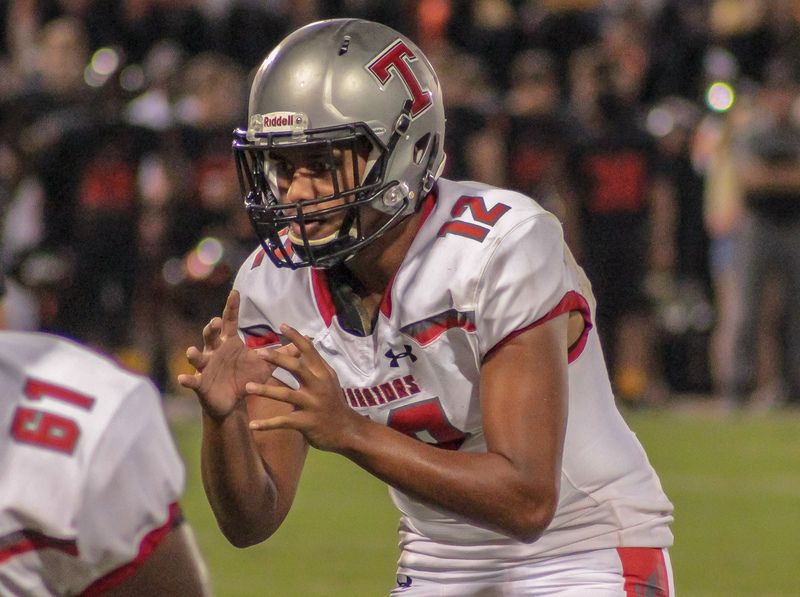 Early in the second quarter Thompson quarterback Taulia Tagovailoa connected on his first of four touchdown tosses of the night, this one to Kyle Smoak from 22 yards out. 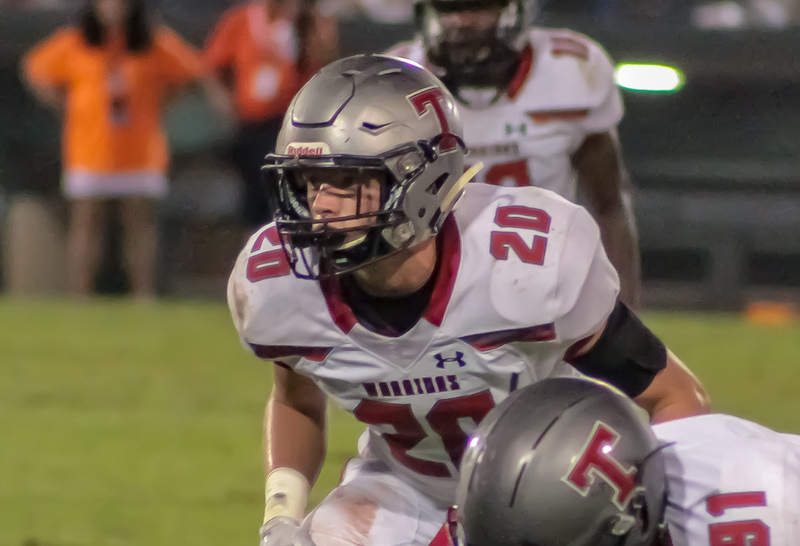 A missed point after left the Warriors trailing 21-6 with just over 10 minutes remaining before the break. 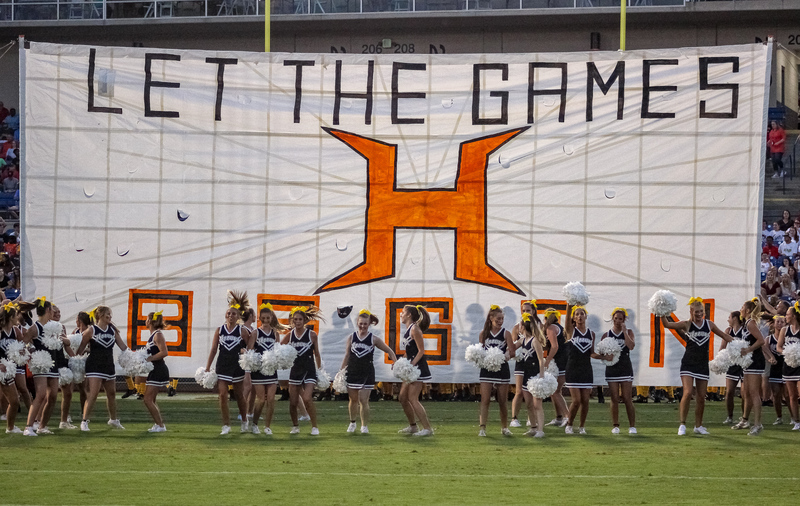 Hoover answered back on their next possession, widening their lead to 24-6 courtesy of a Will Reichard 41 yard field goal. 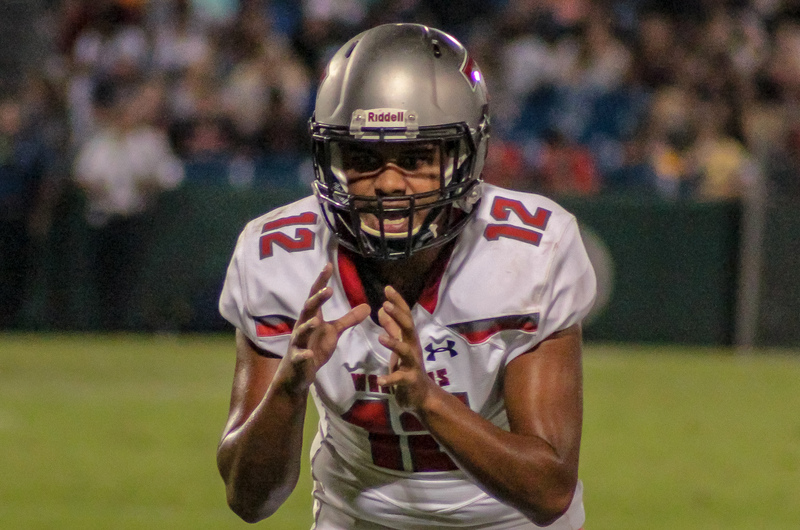 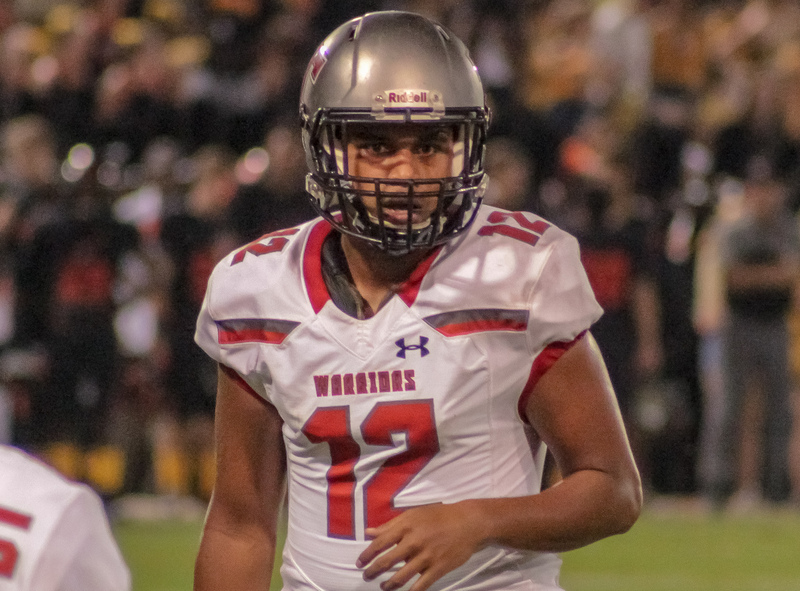 After a Reichard sailed the ensuing kickoff through the endzone, Tagovailoa lead the Warriors on a three play, eighty yard drive capped by a A.J. 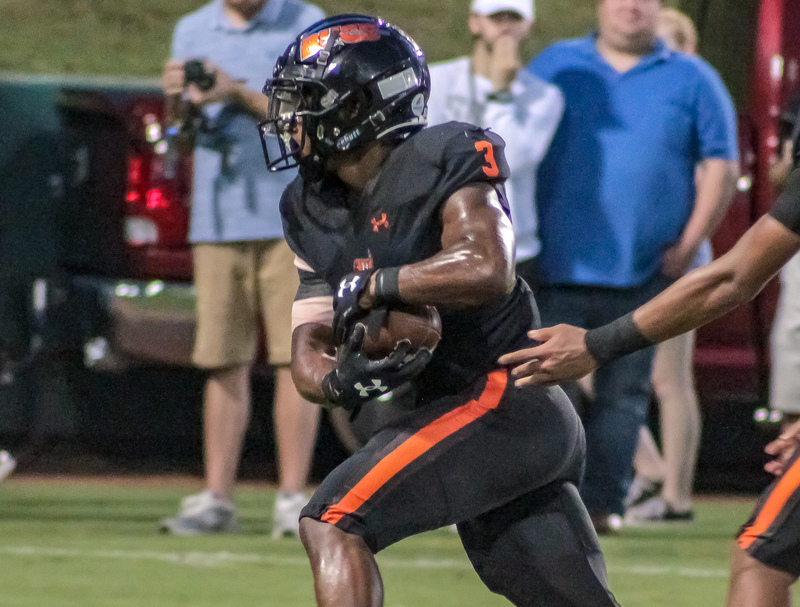 Bonham grab from just beyond the Buccaneer 30 to draw the visitors within two scores 24-12 heading into the locker room. 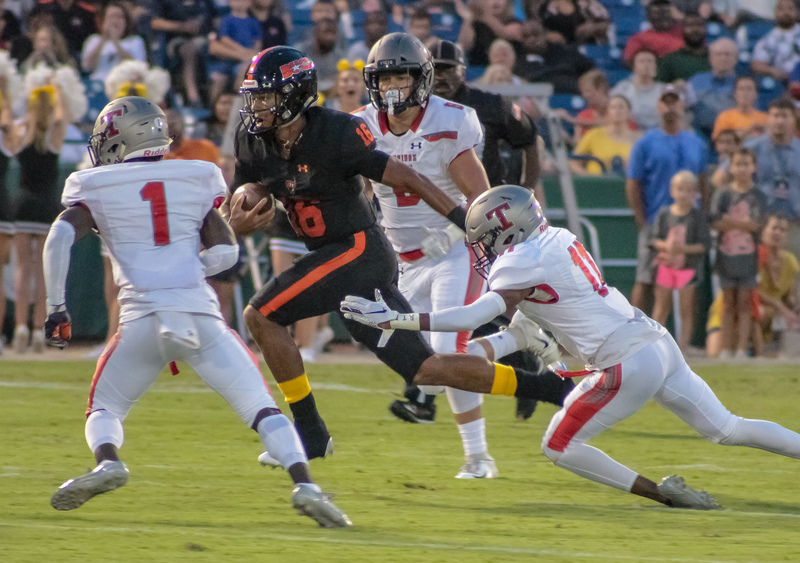 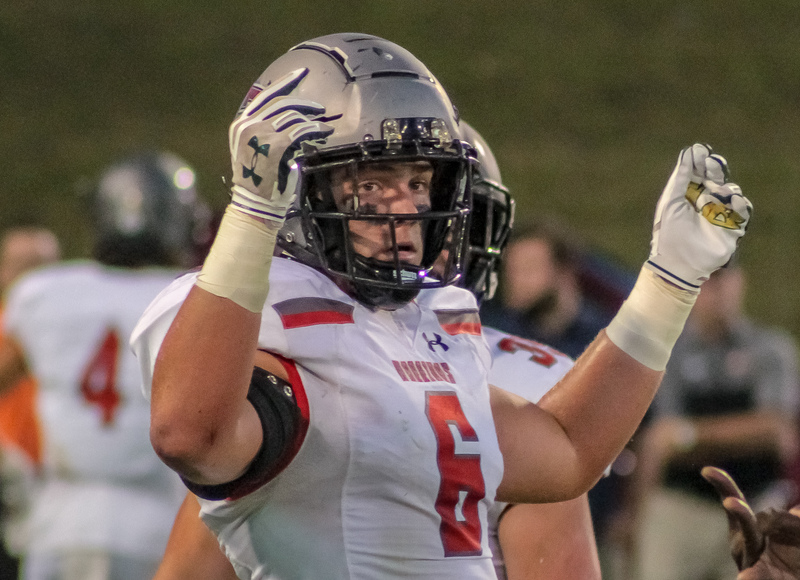 Following a promising Warrior drive punctuated by a failed field goal attempt, the Bucs picked up where they left off as McCammon added his second score of the night, this one from the Warrior 25. 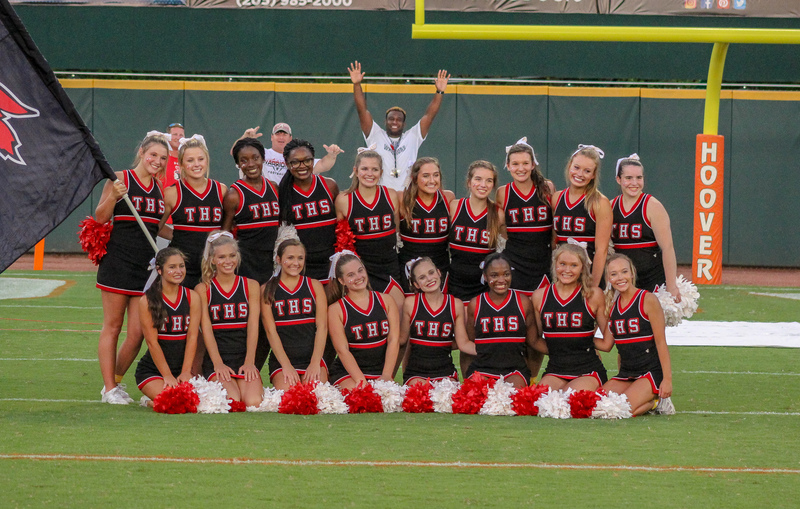 The Bucs looked to be solidly in command of the contest at 31-12, midway through the third quarter. 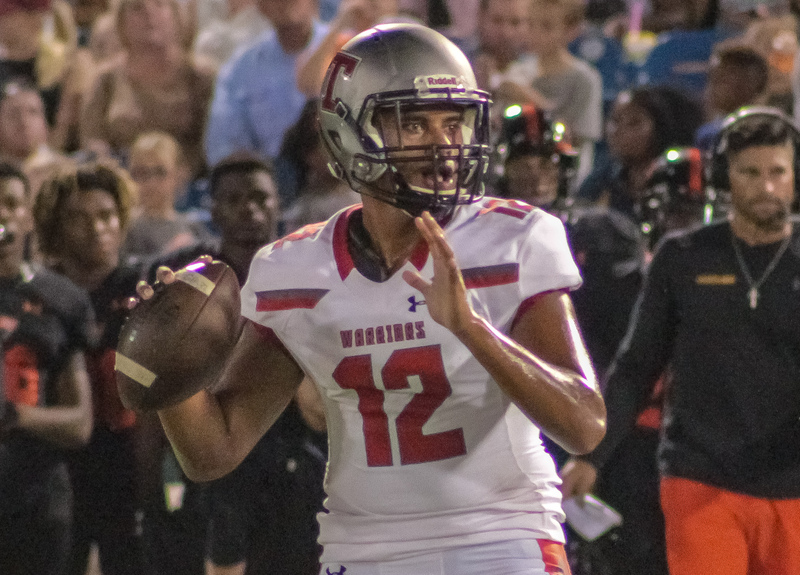 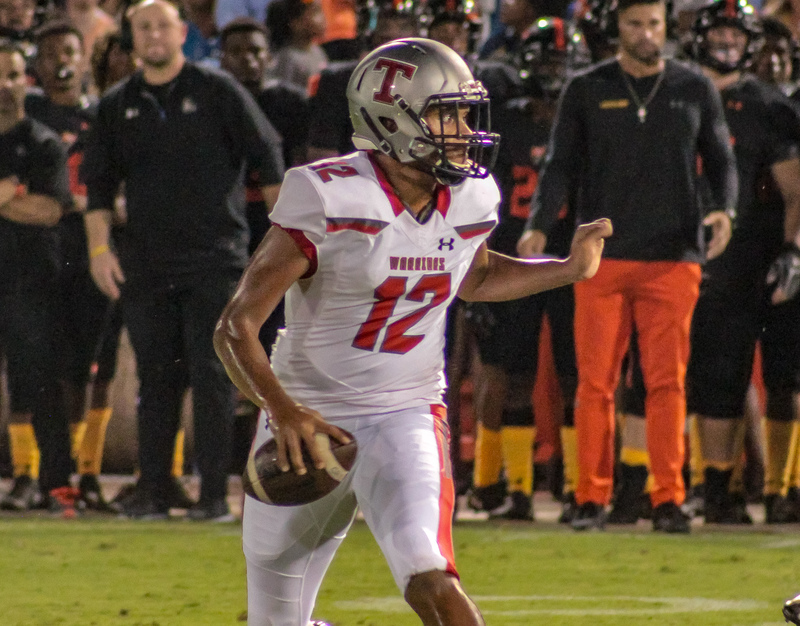 The Tagovailoa air attack didn’t disappoint on the next Thompson drive as the Warriors drove 80 yards in to the endzone for the second time. 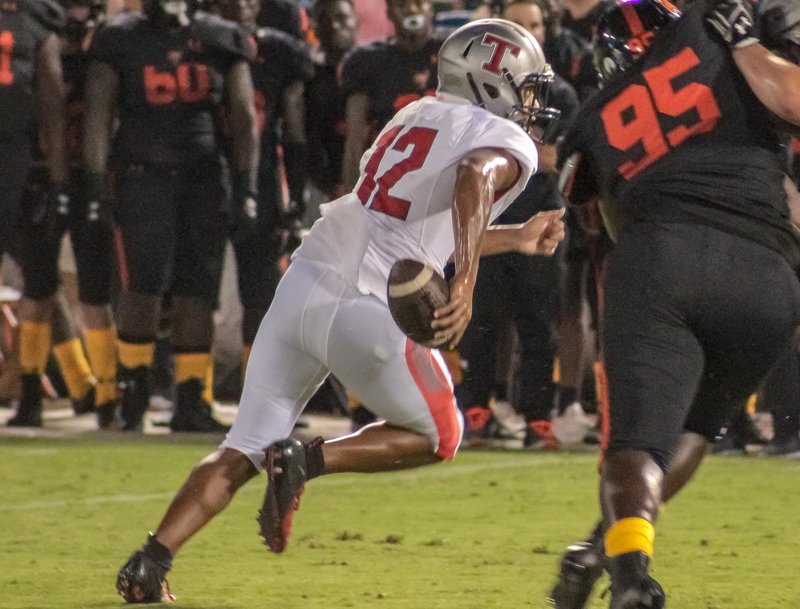 This drive bookended by a Tagovailoa to Michael Pettway strike from just inside the Buccaneer 50. 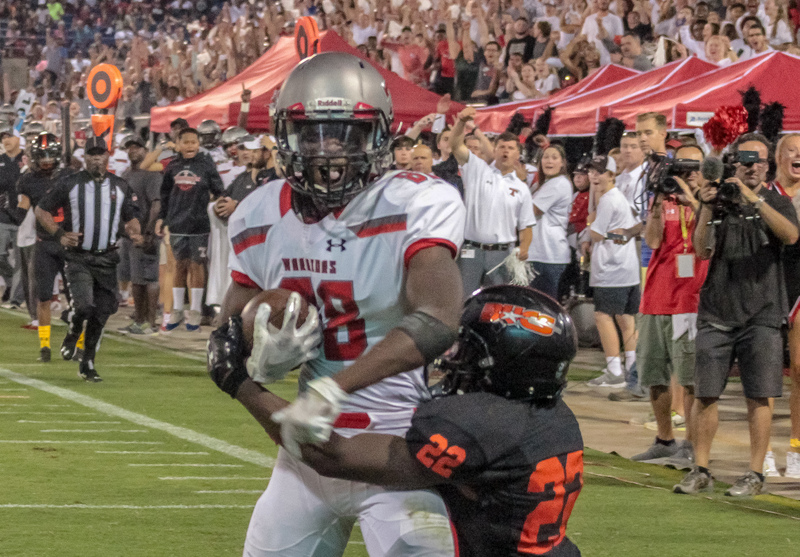 Smoak chipped in a two point conversion grab pulling the Warriors back within a pair of scores 31-20 with a quarter and a half to play. 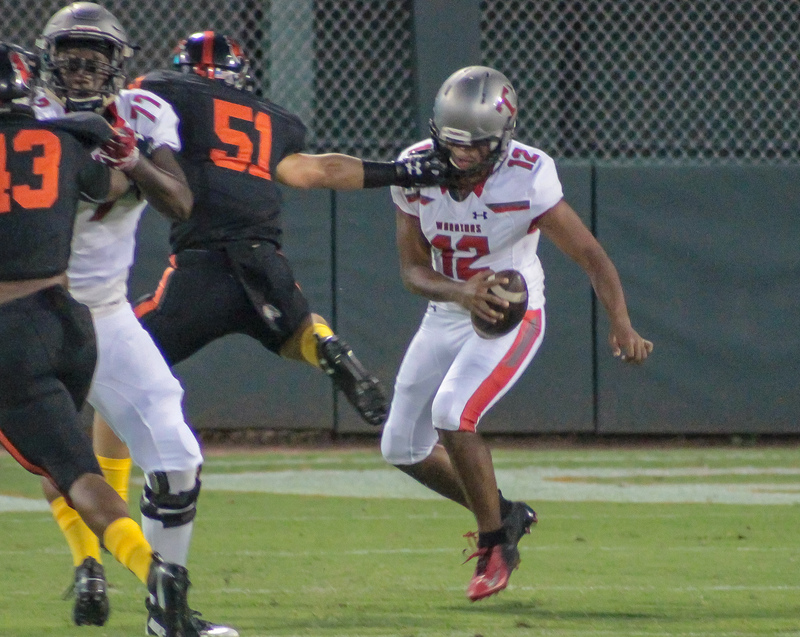 After picking off an Ashford pass on the next Bucs possession Tagovailoa hooked up with Pettway again. 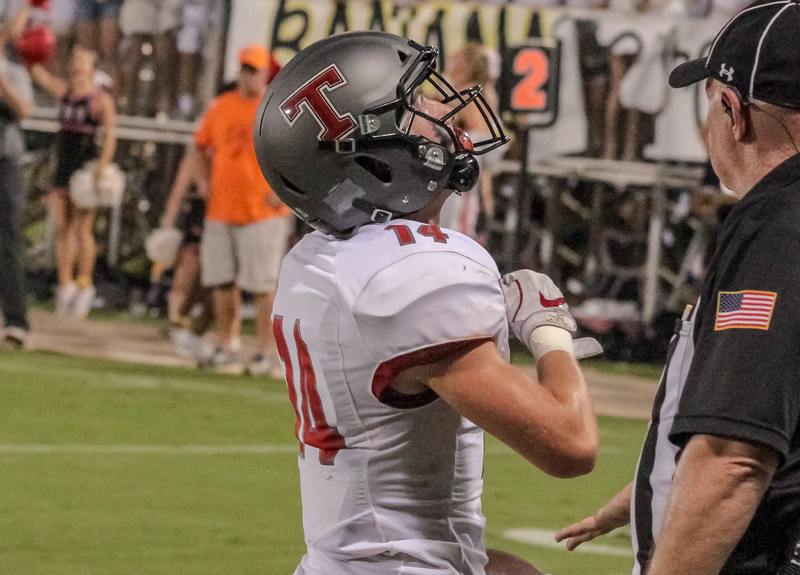 This time for a score from inside the 10. 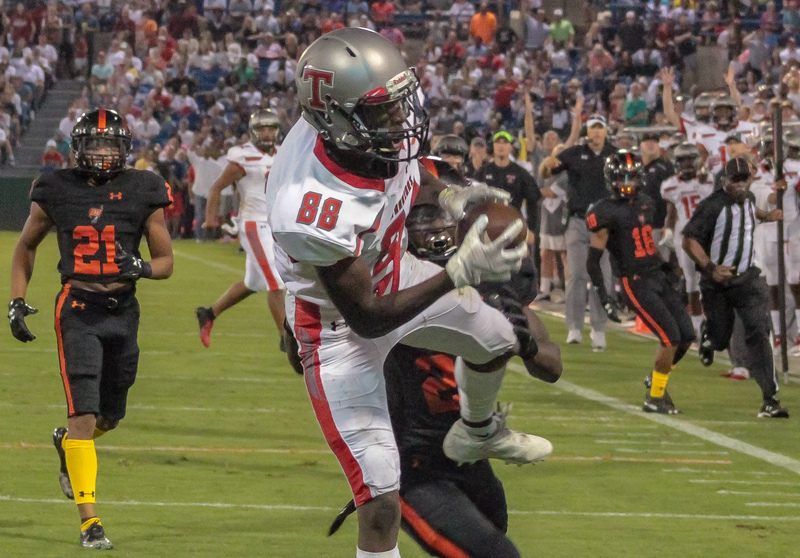 With just over 14 minutes to play the top ranked Warriors now trailed the Bucs by five. 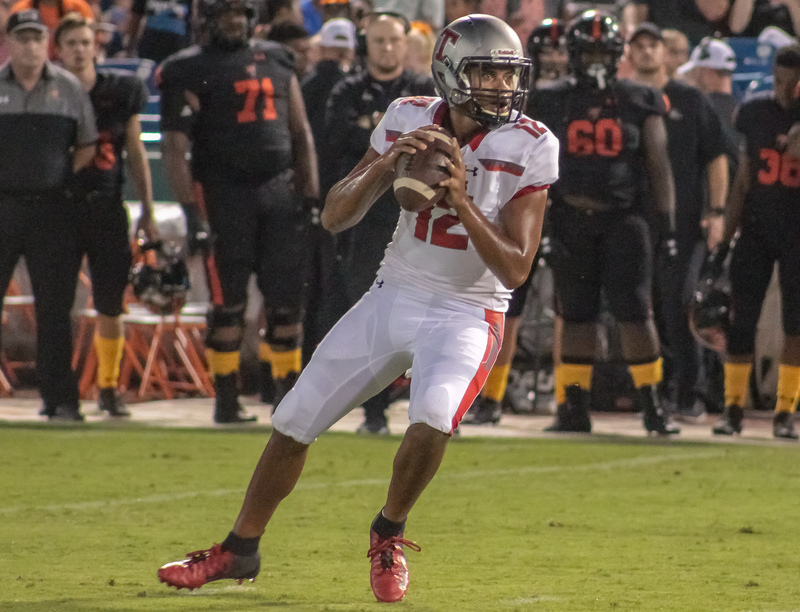 After the Thompson rally, the fourth quarter belonged to the Bucs. 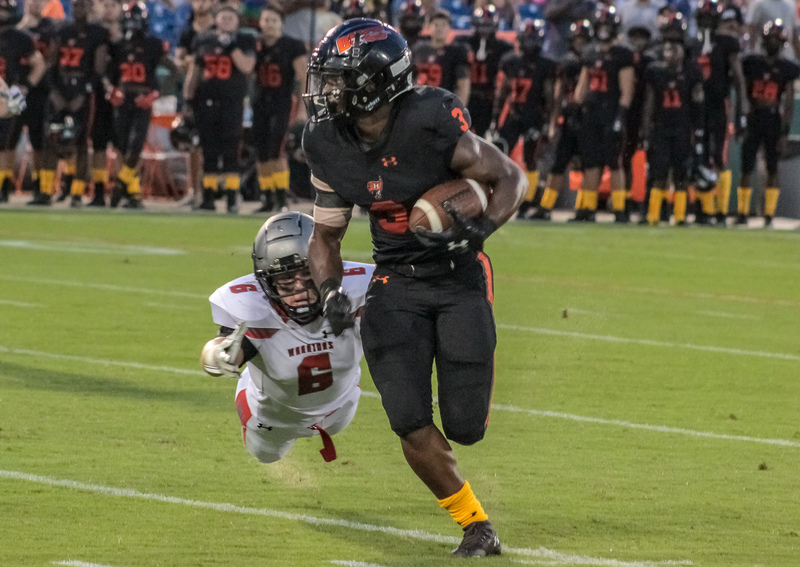 Ashford and McCammon both crossed the endzone, on the ground in the final quarter to put the game away. 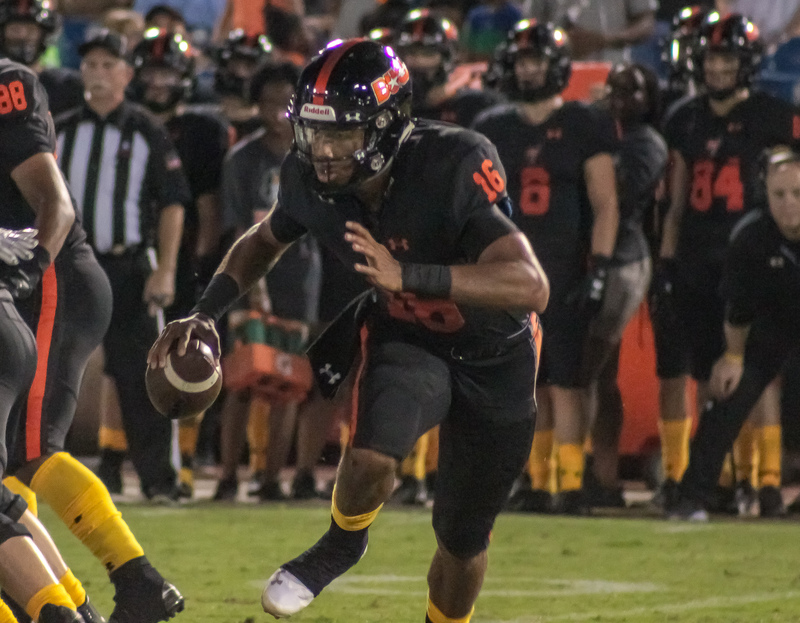 Hoover signal caller Robby Ashford ended the night completing 10 of 21 passes for 210 yards and a pair of passing scores while adding another 146 yards and a touchdown on the ground. 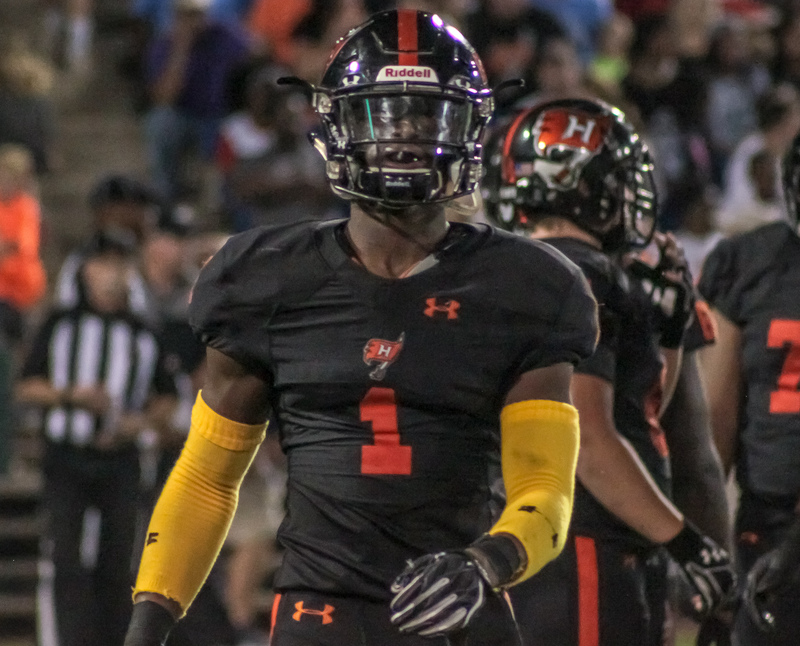 Auburn commit George Pickens hauled in five catches for 87 yards and a score. 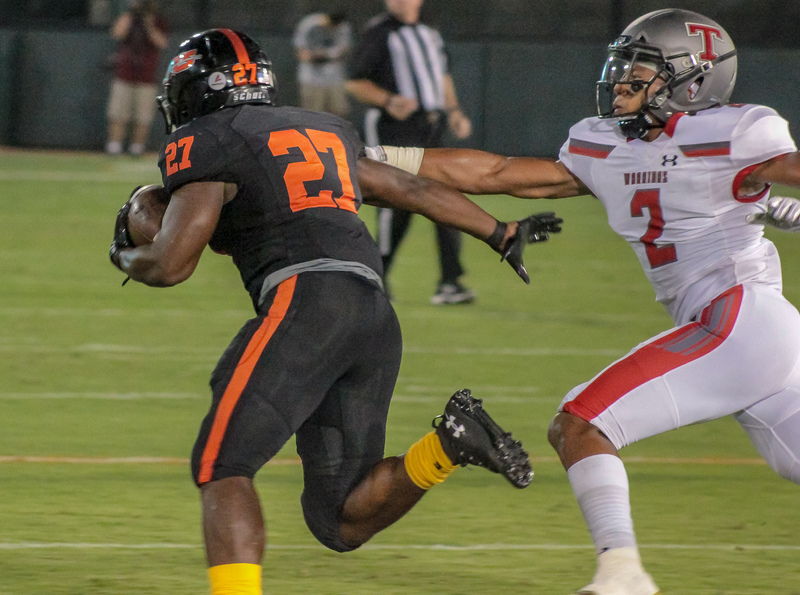 Larry McCammon paced the Bucs on the ground with 103 yards and three scores on 21 carries. 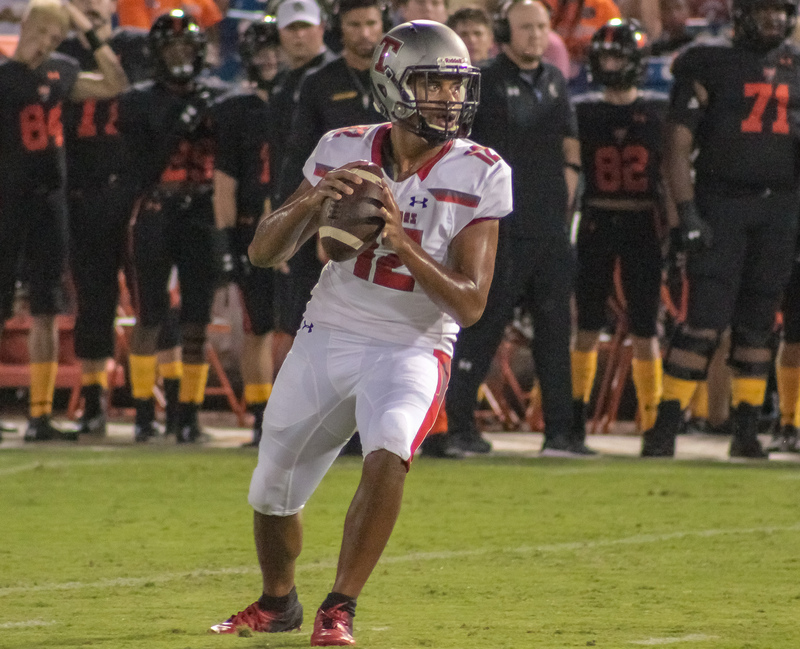 Tagovailoa accounted for 474 yards through the air, connecting on 33 of 61 passes four touchdowns and one interception. 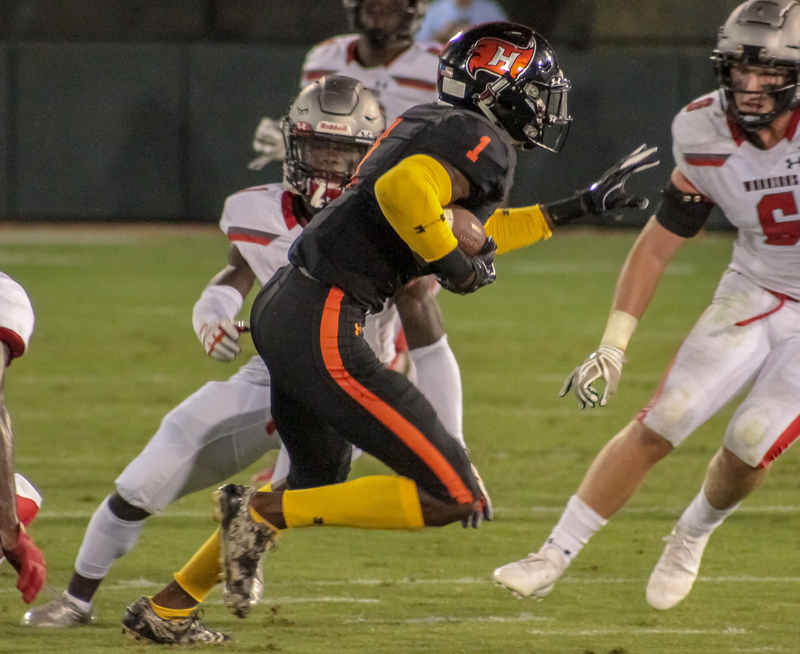 The Bucs and Warriors continue their trek through the 7A region 3 gauntlet next week as Hoover travels to Hewitt-Trussville to take on the 2-1 Huskies. 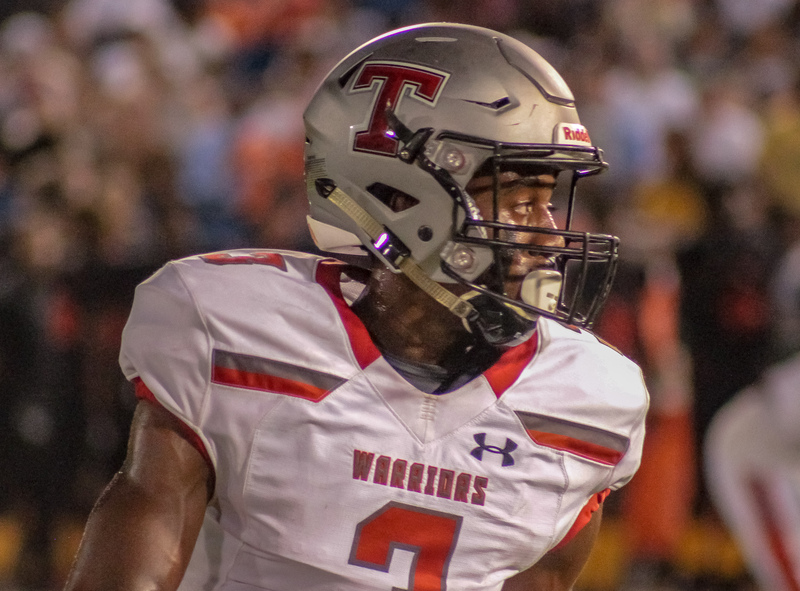 Thompson will christen newly constructed Warrior Stadium against the Oak Mountain Eagles (2-1).